This sun hat with neck protection offers 360-degree coverage. It is great for fishing or anyone that spends a lot of time in the sun. The UVA/UVB hat provides complete protection from the sun’s harmful rays. The hat has mesh ventilation holes to keep the wearer cool on hot days. This hat is UPF 50+. 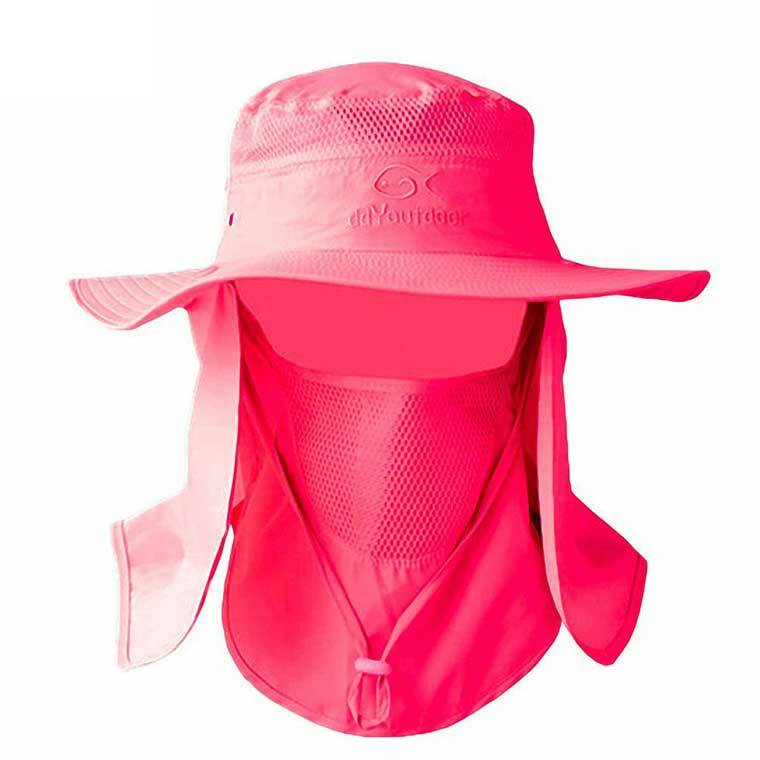 This full face sun hat with neck protection protects from the sun, bugs, and wind. The protector flaps are removable and offer outstanding UVA and UVB protection. It is ideal for fishing, camping, boating, and hiking. The large bill and flap in the back protects the face and neck from the sun. It collapses for easy storage and offers UPF 50+. The flaps, including the front face flap, are breathable and removable. The light color reflects the sun rays and keeps the head and face cool during those super hot days. 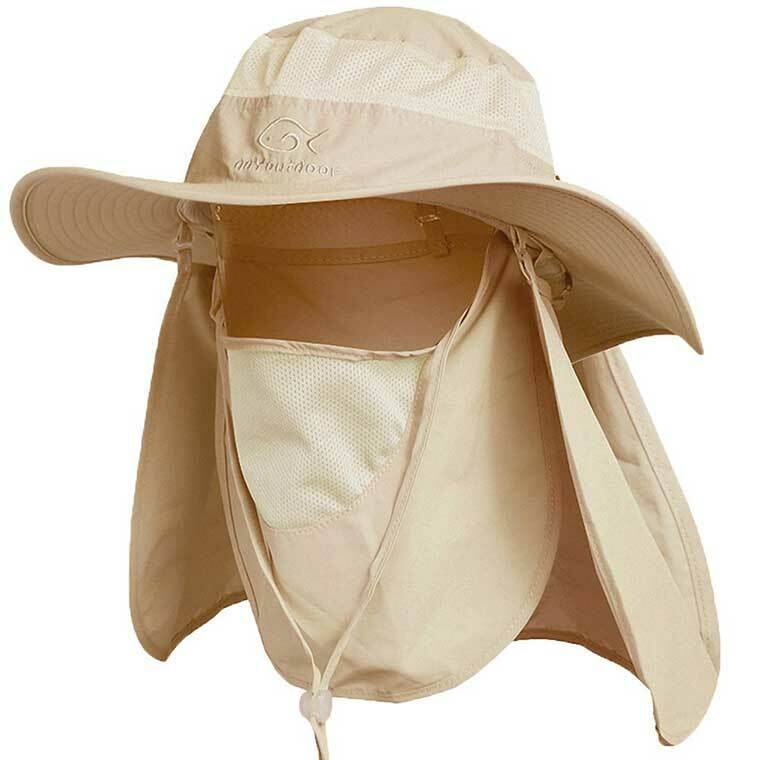 The sun hat with flap has a breathable design while still offering great coverage and protection. The most notable feature of the hat is it’s neck protector that protects the sensitive skin on the neck. Along with keeping the user cool the hat also protects the wearer from the suns damaging UV rays. Long term sun exposure is known to cause a number of serious health problems. The boonie hat also has a chin strap that can be adjusted which is ideal for boating. If you have any questions about this great sun hat with neck protection feel free to ask us below in the comments. It is great for fishing or anyone that gets a lot of sun exposure.